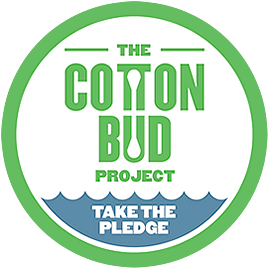 Pledge your support for The Cotton Bud Project! Please show your support by taking the pledge to use cotton buds that do not have plastic stems. To find out where to get your Cotton Buds with paper biodegradable stems check out our Good Buddy List of Friendly Cotton Buds below.